Let us worry about your IT so you can focus on your business. Liven up your business with CMD.solutions. 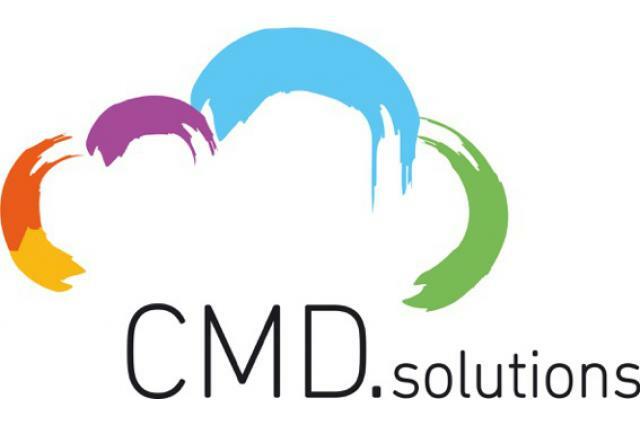 CMD.solutions is a cloud service and telecom provider leveraging managed private cloud and telecom solutions to deliver rapid innovation to companies in Luxembourg and the Greater Region. We strive to be the one-stop-shop for all your IT and telecom needs and offer the best in outstanding 24/7 service and support. CMD is your expert partner in the following fields: managed hosting, messaging and collaboration, online (hosted) workspaces, backup, security, disaster recovery, connectivity and telecom. Our extensive solution and services portfolio ensures we deliver high quality IT and telecom solutions that can handle any business challenge or IT scenario for companies of any size. A wide range of professional services enables our clients to optimize the performance of their environment and unburden their own IT department.Our team has many years of experience in managing IT, telecom and cloud services for all types of businesses. We design, build and manage business-critical solutions that contribute to the success of our clients. Whether you are a small oe medium-sized enterprise, or a start up, CMD will help bring all IT and telecom services in line with your company’s business strategy, operational and security needs.The main shareholders of CMD have already established businesses on the Luxembourgish market and have more than 20 years of experience within the ICT sector. to overcome the administration challenges of a constantly altering workforce. Our cloud solutions are managed according to the quality and confidentiality standards set by the Luxembourgish banking regulation authority. With many years of experience in advising businesses on how to use information and communications technologies, CMD will not only guide you, customers while choosing and building an ICT environment fitted to your business objectives. It will also support the transition to a cloud based ICT production environment by providing a wide range of professional services. We’ll offer a solution for any ICT scenario and business challenge you come across. CMD will assist you in finding the best-suited solution that fits your business case and your company’s execution policies. We will bring your ICT infrastructure in line with your business targets, your way of operating and your need for security. DO YOU WANT TO KNOW MORE ABOUT CMD.solutions?